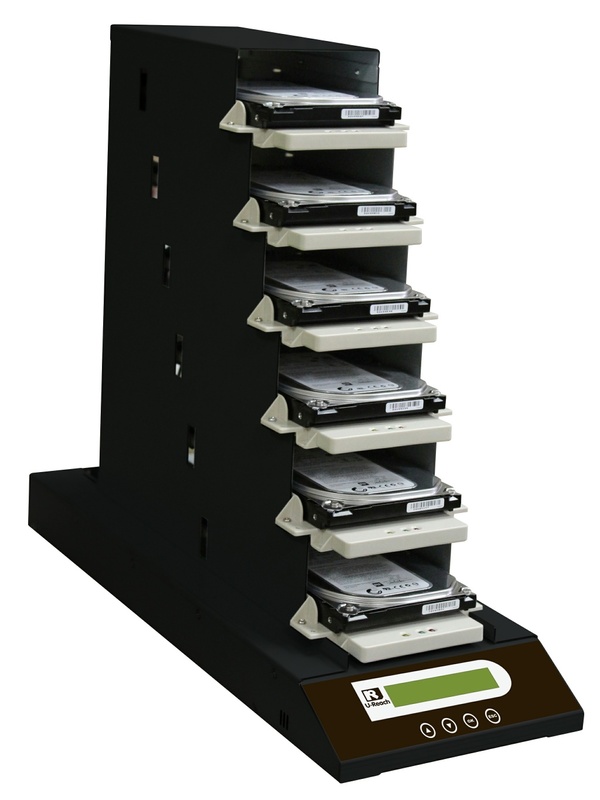 The CT600 is a professional hard drive duplicator for high speed, big volume duplication and sanitization. The CT600 is equipped with a very powerful logging function. The log can record every operational detail including operation time, each portfs process details, including the HDD's model, capacity, S/N and result (pass, fail). The CT600's one impeccable feature is its flexibility for expansion. One CT600 is a 5-target duplicator. When 10 sets of CT600 are linked together, it becomes a 59-target duplicator. One CT600 can link with other CT600 units, up to 10 sets of CT600 units can make 60 ports work together for high speed duplication with no interruption by unexpected HDD problems. This is unprecedented innovative technology. Based on this design, multi-target duplication wiping can be accomplished at high speed, and all pertinent HDD information recorded. 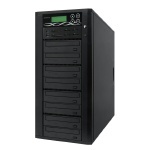 Maximum copy 59 target HDD simultaneously from a single source, regardless of brand, operating system or format of drives. To copy only source HDDs file and system including boot sector and data partition. Skip empty area. FAT16/32, NTFS, Linux (Ext2/Ext3/Ext4) format are support for fast copy mode. Operation even log record all details of process HDD. An advanced tool for production management. One port one control board: Independent control board for each HDD port. High speed, and no interruption by any target HDDs problem. Auto power control: Each ports power only start when copy start. When Copy stop, power is completely off. Not hot swap, no chance to damage HDD while inserting or removal HDD.. Smart LED display: Clear LED indicator of each ports status. Easy to identify copying status. High speed duplication. Based on real tests, a maximum of 8100MB per minute with 60 HDDs fully loaded. Speed remains constant with increased targets. Operating log function records details of process HDD. Important for operations management. Main functions of Duplication, Compare, Overwrite sanitization (erase, DoD erase,), bad sector tolerance, format. Support all major 2.5, 3.5 SATA HDD/SSD regardless of brand, operating system or format of drives. Support Fast Copy (system and file). To copy only source HDDs file and system including boot sector and data partition. Can skip empty sectors. 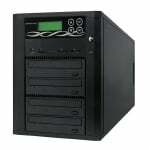 FAT16/32, NTFS, Linux (Ext2/Ext3/Ext4) format HDD are supported for fast copy. 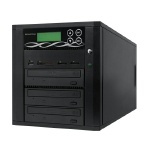 Support large capacity HDD up to 6TB. Auto power control. Each ports power only starts when the copy starts. When copying stops, power is completely off, not just hot swap. No chance to damage HDD while inserting and removing HDD. Bad sector tolerance. You can set a threshhold for bad sectors tolerated to satisfy more duplication situations.